Cheryl supports Dr. Holden and his team by running the day-to-day business and assisting with clinical aspects of the practice, specifically implant case management. She began her dental career in 1981 as a dental assistant while attending college. 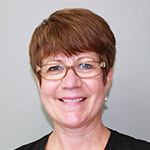 Cheryl earned her Associate Degree in Dental Hygiene in 1984 and joined Dr. Holden in practice shortly thereafter in 1986. She earned her Dental Hygiene Local Anesthesia permit in 2010. Cheryl loves working in a relaxed atmosphere with a staff that works very well as a team. She is married and has two busy college aged young adults. Cheryl stays busy following her children to theatre productions and local sporting activities. Penny is the glue that keeps us all together, managing the front desk activities, including controlling the appointment book for the seven clinicians of the practice. You will typically hear her voice first when you make or receive a call from the office, and she will greet you first when arriving for your appointment. 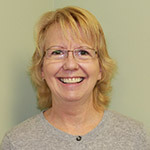 Penny joined our office in 1995, where her multi-tasking skills continue to make her a valuable member of our practice. Penny enjoys working with our professional team. She has three children and three grandchildren. Sherry joined Dr. Holden’s practice in 2008 and has over 20 years of dental assisting experience, having served in both clinical and administrative roles. 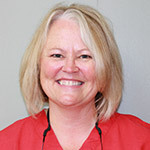 Sherry keeps our practice running smoothly and efficiently in the clinical area, with responsibility for patient and room preparation and also instrument sterilization and processing. She has fine-tuned the efficiency of operations in the clinical area and is sensitive to our patient's needs by keeping the clinicians on time for appointments. She appreciates the high regard patients have for our practice and the professionalism and integrity of Dr. Holden. She loves that our team members help one another every day. In her free time, Sherry enjoys singing for her church and loves spending time outdoors four-wheeling with her husband and son. 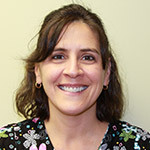 Karen – Registered Dental Hygienist, Dental Hygiene Local Anesthesia License, Primary Surgical Assistant. 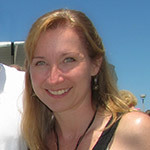 Karen joined our team in 1998 after moving to the State College area. Her previous experience was also with a periodontist in the Mechanicsburg area. 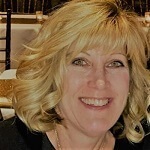 Karen earned her Dental Hygiene Associate’s degree from the Pennsylvania College of Technology in 1996, and her Dental Hygiene Anesthesia permit in 2010. You will find Karen at Dr. Holden’s side providing surgical assisting services, in addition to providing occasional dental hygiene care. Karen’s gentle and caring chair-side manner will put you at ease during your visit. In her spare time she enjoys walking, gardening, and spending time with her three dogs. Melani is one of several employees who have been with Dr. Holden for over 15 years. 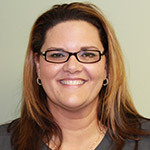 She started her career as a dental assistant while attending college, and began working with Dr. Holden in 1994. Melani graduated in 1987 from Williamsport Area Community College now known as the Pennsylvania College of Technology. She is one of our dental hygiene cornerstones. Her patients often report that she has a gentle, yet effective touch. Occasionally, you will find Melani assisting Dr. Holden. She is married and has 2 adult children. In her spare time, she enjoys hiking, being active outdoors, traveling, and having fun with friends and family. 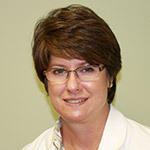 Audrey brings more than 30 years of experience to her role as a registered dental hygienist. She first became involved with dentistry in 1980, after finishing her associate’s degree in Dental Hygiene at Williamsport Area Community College. In 2012, she earned her anesthesia license. Audrey loves working with a doctor of such high standard and integrity as Dr. Holden, and she appreciates the kindness and warmth that is shown to every patient. Every day, her goal is to maintain an excellent work ethic as she develops a rapport with our patients. Audrey has been married for 32 years and has two sons. She loves visiting Lake Mokoma with her family, and she has led a Bible study with her church for the past 12 years. I am a 2012 graduate from Allegany College of Maryland with an Associate in Applied Science Dental Hygiene Degree. I also received my Local Anesthesia license when I graduated. I was in a general dentist practice for four years prior to joining Dr. Holden's office. I am very happy that I joined this specialty practice in May of 2016. It has been a great learning experience. I enjoy working in a very professional, yet relaxed atmosphere. I look forward to coming to work and getting to know more of Dr. Holden's long term patients as well as new ones. Dr. Holden is an excellent example of what a great periodontist should be. He truly has his patient’s best interest in mind when recommending treatment. My co-workers are very helpful and have welcomed me as if I were here since the practice opened! I am a mother to two young children. I have a son and a daughter that keep my husband and I busy at home. I enjoy cooking, spending time with family and exercising. Celeste first joined our team in 1995 but then left in 1997 to be with her children. 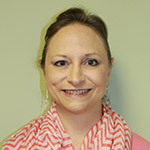 She came back to us, though, in 2009 as a substitute hygienist and rejoined our team full-time in 2012. From the very beginning, she’s always been willing to pitch in wherever she could. She enjoys the camaraderie we all share, and is proud to be a part of such a great team. Celeste is married and has two adult children. She enjoys gardening, hiking, and kayaking. The best part of life is spent with family in the outdoors. I am excited to be working with such a caring, quality clinician like Dr. Holden. My joy is to see patients progress to health through teamwork! When I am away from dentistry I like walking in the sunshine, riding the Harley with my husband and chalk drawing with my grandkids. Beth joined the team as a Dental Assistant in March 2016. She loves working with such an amazing group and assisting patients. Beth is married and has 3 daughters. She enjoys spending time with her family, including her 3 grandchildren. She loves her yearly trips to Maine, hanging out with her sisters, gardening and baking.